What is the NCS system? How do you ensure that your supplier or customer pictures a particular forest green colour exactly the same way that you do? The NCS system helps you communicate colours in a way that everyone understands. The foundation of our products is the NCS – Natural Colour System®© – the cross-industry colour system used around the world for colour communication between designers and manufacturers, retailers and customers. Since the NCS system is based on how we perceive colours visually the system allows you to describe any imaginable surface colour and be given a NCS-notation. 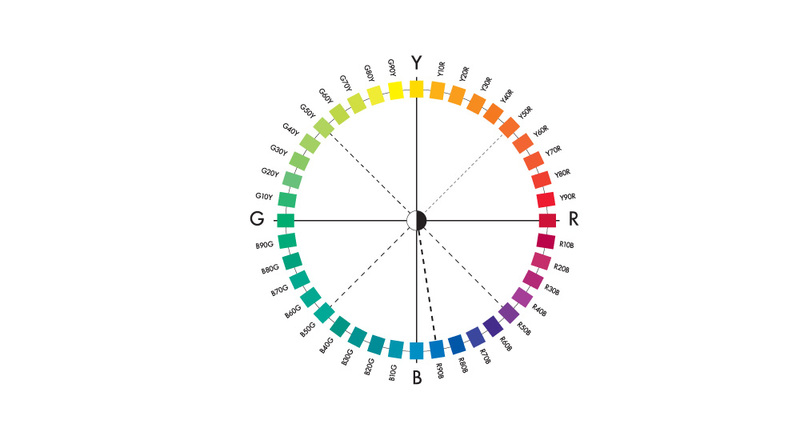 This has made the colour system a global standard for the definition, quality assurance, and communication of colour. The NCS system is used by architects, designers, and material manufacturers, the colour industry, product manufacturers, and retailers the world over. Why use the NCS system? The NCS system gives a unique opportunity to communicate colour between all those involved in a colour process, to ensure that the end result is precisely as it should be. The system starts from six elementary colours, which are perceived by human beings as being “pure”. The four chromatic elementary colours are yellow (Y), red (R), blue (B) and green (G), and the two non-chromatic elementary colours are white (W), black (S). All other colours can be described in terms of their degree of resemblance to the elementary colours. Not again that these concepts describe the purely visual properties of the colour and not how the colour is mixed. Beginning with the elementary colours, it is possible to construct a three-dimensional descriptive model called the NCS colour space, which includes the whole colour world and makes it possible to describe any conceivable colour percept. All imaginable surface colours can be placed and thus be given an exact NCS-notation. For the sake of clarity, it is usually shown in two projections – the colour circle and the colour triangle. By taking a horizontal view through the colour space, we see this circle where the four chromatic elementary colours yellow, red, blue and green are placed like the points of the compass with the space between them divided into 100 equal steps. Here you see the hue (the colour family) R90B. This means that all colours in this hue have 90% resemblance to blue and 10% resemblance to red. It is a slightly reddish blue colour so it is almost a pure blue colour. 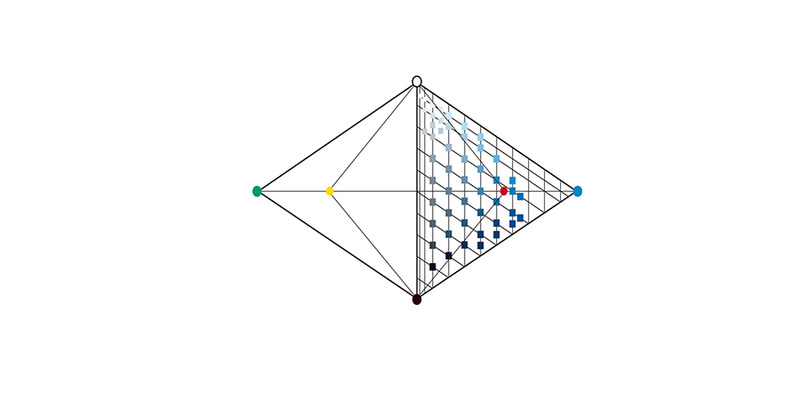 The NCS Colour Triangle is a vertical section through the colour space. Here you find different nuances of the actual blue hue R90B. 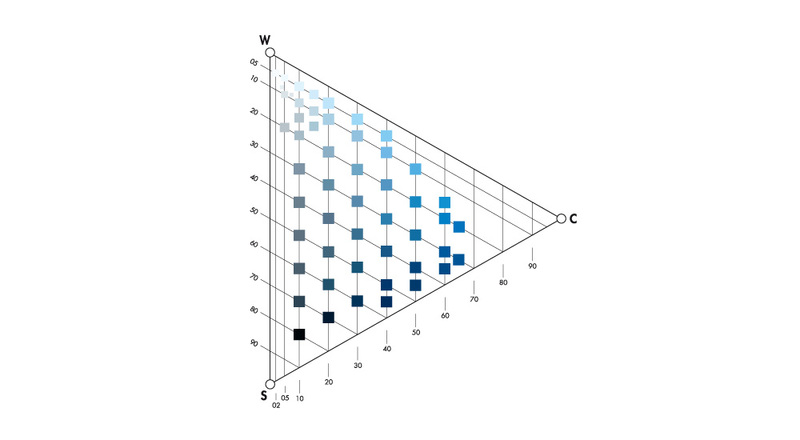 The base of the triangle is the grey scale from white (W) to black (S) and the apex of the triangle is the maximum chromaticness (C) within each hue, in this case R90B. The chromaticness specifies how strong the colour is. Colours of the same hue can have a different blackness, chromaticness or whiteness values, which is different nuances. The scales for blackness, whiteness and chromaticness are divided into 100 steps, which as well as in the colour circle can be perceived as percentages. In the triangle is the nuance 1050 selected. S means that the colour is part of the visual selection of NCS 1950 standard colours, which illustrates the NCS System. The first part of the code (e.g.) 1050 describes the nuance of the actual colour R90B. 90% resemblance to blue (B). Another example: B40G is a blue colour with 40% green, and so on. 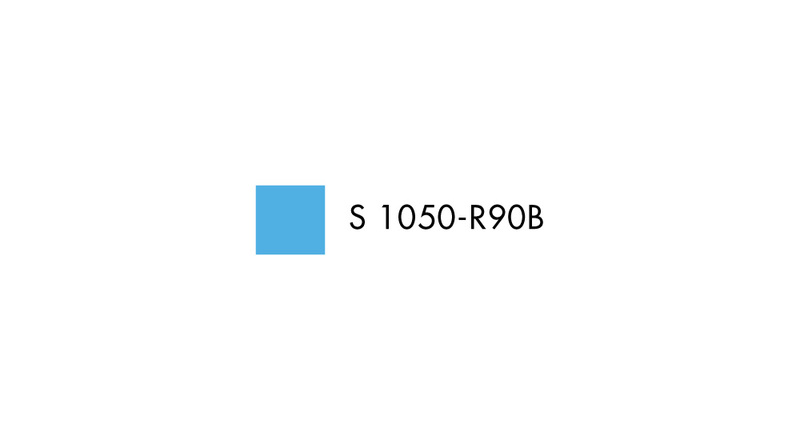 S 1050-R90B gives you an unambiguous definition of a colour and any surface colour can be described with the help of the NCS System. For example a colour can be given the notation 1143-Y85R. This colour does not belong to the NCS 1950 standard colours. It can though still be described with the NCS system without no S in front of the notation. Click here for a complete list of NCS Literature References.